The next volume of The FILLM Newsletter will come out on 15 December 2018. If you would like to contribute to the newsletter or have some information for us to include, please send a message to aborch@abo.fi (Deadline: 1 December 2018). Welcome to this the penultimate FILLM Newsletter of 2018! Below you'll find a brief report from the FILLM Symposium in Vienna in July as well as an update from the General Meeting held at the same time. There is also some good news concerning the federation's membership base and a new publication in the FILLM Book Series. After that, there's plenty of news (incl. some interesting Calls for Papers) from our members. Back in July - on the 13th, to be more precise - FILLM organized a symposium at the University of Vienna. The theme of the event was "The Contribution of Learned Societies to the Humanities: Past, Present, and Future". The participants' contributions had been circulated in advance and the symposium was organized around individual discussions of these with comments and feedback coming from selected opponents as well as the rest of the participants. The aim of the event is to have a selection of the papers submitted for publication in an edited volume and based on the discussions the contributions elicited, it would seem that there's material for a good book. The discussions were varied and engaging, and at times the theme had led people to consider what humanities research is all about. In connection with the FILLM Symposium, the federation's Committee also gathered for a General Meeting. Here a number of important issues for the federation were discussed. Among other things, it was decided to make a few minor adjustments to the federation's Constitution and discussions were held regarding the preparations for the FILLM Congresses in 2020 (Vienna), 2023 and 2026. In relation to the latter, it was also decided to establish a working group (headed by FILLM Vice-President Adams Bodomo), which would look to find ways in which each of FILLM's member associations can be best represented at the federation's congresses. A working group was also set up to work on FILLM's finances. The group, which is headed by FILLM President Margaret Higonnet, was tasked with drawing up a proposal for systematizing the federation's financial procedures. The federation would like to thank everyone who participated in the meeting. It was great to see that most of our member associations had found a way to send a delegate to the meeting, several coming from half-way across the world. But perhaps more importantly, it was encouraging to see that those who attended the meeting took a genuine interest in the state of FILLM - its challenges as well as the possibilities it can create. It bodes well for the future! More good news arrived in the wake of the Vienna Symposium when it was decided to admit The West African Linguistic Society (WALS) as a new member. WALS will be represented on the FILLM Committee by its Secretary-Treasurer, Professor Constantine Yuka (University of Benin). 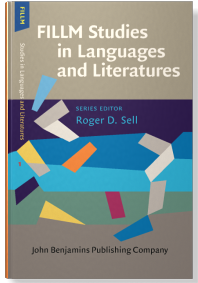 It has recently been announced that the 9th volume in the FILLM Book Series, FILLM Studies in Languages and Literatures (John Benjamins), will be published later this year. The book is an edited volume with the title Where Is Adaptation? Mapping Cultures, Texts, and Contexts. The book is edited by Casie Hermansson and Janet Zepernick (both Pittsburg State University). While you wait for that gem, we recommend that you check out the series's back catalogue. It includes many interesting titles. 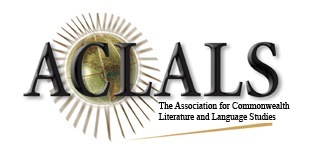 The International Comparative Literature Association (AILC) will organize its next conference in Shenzhen, China from 29 July-2 August 2019. More details to be announced later. © 2018 | International Federation for Modern Languages and Literatures (FILLM).